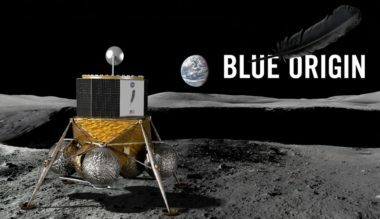 SPD-4 gives the Pentagon the official go-ahead to send a proposal to the White House recommending the establishment of a separate military branch for space. 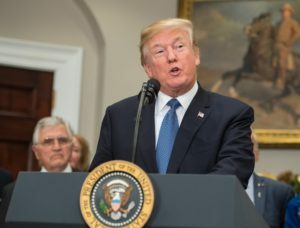 President Donald Trump offered praise for the U.S. commercial space industry in comments March 8 that appeared to cement previous policy on the issue rather than create new policy. 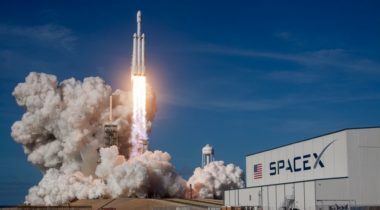 A rare combination of politicians, space advocates and even competitors lauded SpaceX for its successful inaugural launch of the Falcon Heavy Feb. 6. 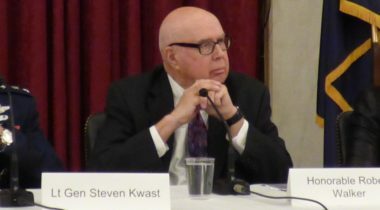 Foust Forward | Third time’s the charm to return man to the moon? 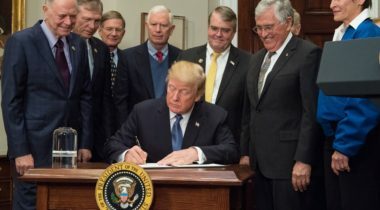 President Trump's directive is the third time in less than three decades that a president has formally called for a human return to the moon. 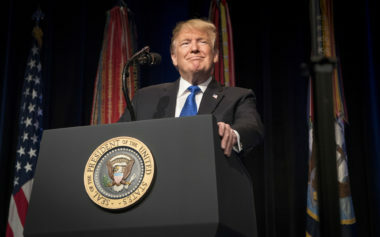 The two Presidents Bush made similar declarations, 14 and a half years apart, only to see them falter, one undone when it was saddled with a $500 billion price tag and the other failing to survive a change in administrations. 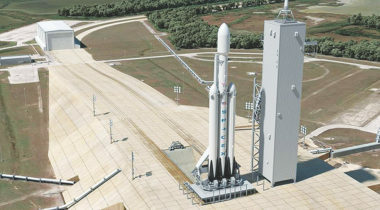 Implementing the Trump administration's space policy requires increased reliance on the growing array of commercial space capabilities to enable human to return to the moon and go to Mars and beyond. 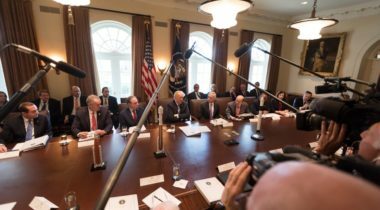 President Donald Trump signed an order Dec. 11 formally directing NASA to send humans back to the moon, but provided no information on schedules or budgets for such an initiative. 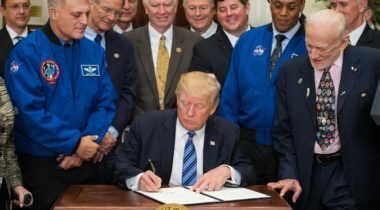 President Donald Trump is scheduled to sign his administration’s first space policy directive in a White House ceremony Dec. 11, one that may formally direct NASA to send humans back to the moon. Finding another James Webb to run NASA was no easy task. 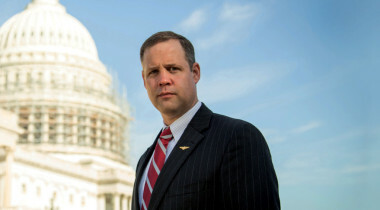 President Trump considered several excellent candidates, some of whom we personally admire, but in the spirit of Webb’s leadership, U.S. Rep. Jim Bridenstine is the president’s nominee for NASA administrator. 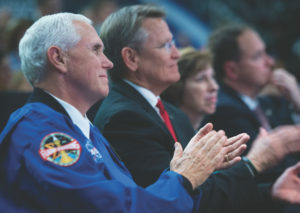 The Trump administration has identified representatives of the various government agencies who will serve on the National Space Council, which is likely to hold its first meeting “very, very shortly,” Greg Autry, the administration’s former NASA liaison, said Aug. 30. A member of President Trump's NASA transition team argues that treating space as a team sport won't get us there any faster. 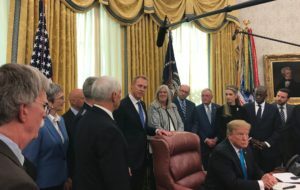 An executive order by President Trump reestablishing the National Space Council is already written and is likely to be formally issued in the near future, a key advisor said May 1. 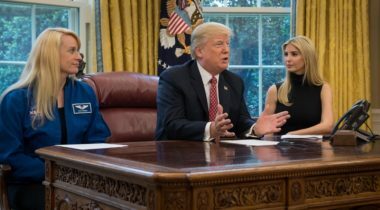 In a conversation with NASA astronauts on the ISS April 24, President Donald Trump called for a human mission to Mars by the end of his second term in 2024, a timeframe most in the industry do not consider feasible. 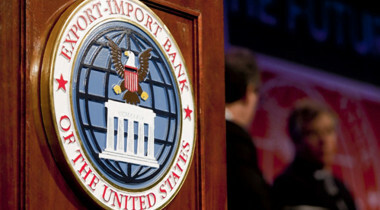 The White House announced April 14 that President Donald Trump had nominated to the board of the Export-Import Bank two former members of Congress, one of them a staunch critic of the bank’s lending practices. 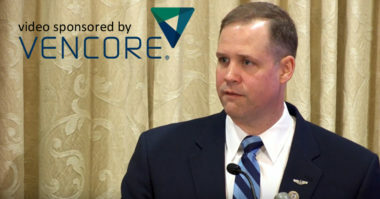 Rep. Jim Bridenstine spoke at a Washington Space Business Roundtable luncheon March 21, immediately after leaving the White House to attend the signing ceremony for a new NASA authorization act.